The most basic way to express love for your teeth is to brush them regularly, preferably every after a meal. If the habit is not feasible because of your busy time, then brush your teeth at least twice a day. Aside from tooth brushing, reducing (if you cannot avoid) the intake of foods with high levels of sugar is also advisable. It has long been proven that sugars contribute to the development of plaque acids on your gums and teeth that destroys the dental enamel. Plaque on your teeth will eventually lead to tooth decay and cavities. Such scenario is a big no-no if you truly have a special affection with your teeth. If sweets and confections are your favorites, just go back to the first paragraph and follow the advice very well. Of course, there are some foods that will help you strengthen your teeth. The likes of eggs and dairy products (milk, cheese, yogurt, etc.) have high amounts of protein and calcium – the nutrients that increase the stamina of your muscles, bones, and (especially) your teeth. Do not forget fruits and vegetables; the juices and fibre can help in cleaning your teeth and gums while you are chewing them. After consuming all these foods, gulping down some water to wash away all the debris left out from your chewing will do the concluding rite (before you finally brush your teeth again). The foods and beverage mentioned above are all healthy for your teeth. The thing is, they are so because they can either provide nutritional benefits to your teeth and gums or they can help clean them up from excess debris of food in your mouth. There is, however, a beverage which can kill the germs that destroy your teeth causing them to decay. 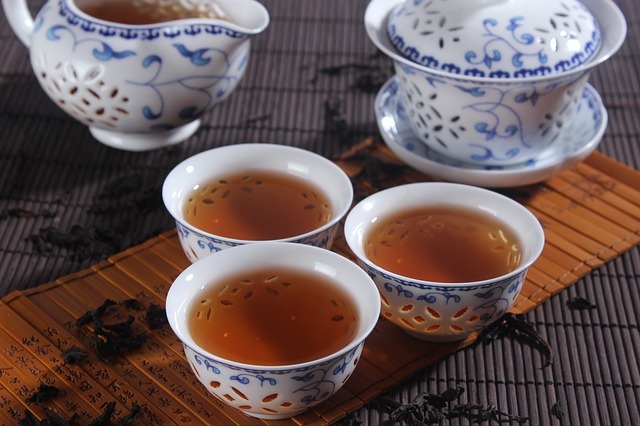 Evidence specific to black tea suggests that three to four cups a day could help to reduce levels of bacteria in the mouth….. I’m sure this news is set to be welcomed by dentists and hygienists alike as they continue to educate the nation on the need for greater oral care. Researchers on nutrition science found out that melted black tea particles are effective combatants against streptococcus mutans, the bacteria that is specifically identified with gum and tooth maladies. Even green tea has its benefits to dental and oral care. The studies show that the natural chemicals found in green tea have a neutralising effect on the sulfur compounds coming from the food debris inside the mouth. The sulfur compounds are one of the causes of bad breath. Thus, it goes without saying that green tea helps in curbing off bad breath from your mouth. If you still are not a regular tea drinker, we suggest that you start drinking 3 to 4 glasses of tea a day (as what nutrition experts recommend), side by side with eating the healthy foods mentioned above and brushing your teeth every after meal or at least twice daily. Loving your teeth is a good thing, but if you do not express such love in action, you may just wake up in the morning with an ache enough to ruin your day. Lastly before you get of this page, please be reminded to always have a visit with your dentist 2x in every year.